Musician Jimi Hendrix''s head becomes the vessel out of which you drink. 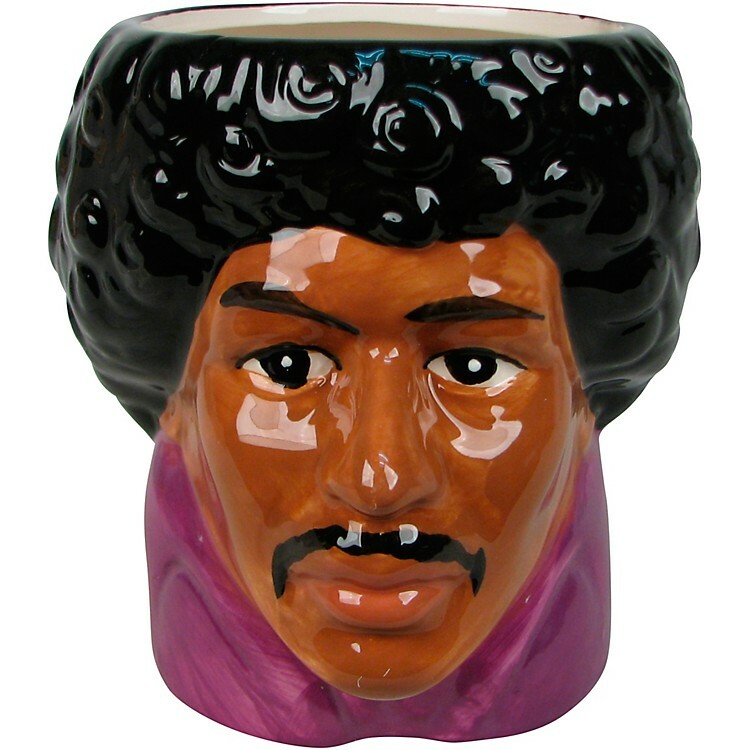 This Jimi Hendrix Face Molded Mug features the head of Jimi Hendrix as a cool ceramic mug. Holds up to 16 ounces of liquid. Hand wash only. Not dishwasher safe. Do not microwave. Ages 14 and up. Makes a great gift too. Order today.